The design of our prefabricated houses is based on the principle of maximum energy-efficiency, drawing on the numerous building innovations from the world of offsite construction. Customised design, modular construction in ideal conditions at the WeberHaus plant and the use of modern, sustainable building materials guarantee the high standards for which we’re renowned - and allow us to deliver truly energy efficient home insulation to our customers. Comfort: Put simply, effective home insulation means temperature is regulated - keeping you cooler in the summer and warmer in the winter. This way, you can reap the benefits of a comfortable living environment all year round. Cost: With a more energy efficient home, you can significantly reduce the number of heating and cooling appliances required to keep your home at the optimum temperature - cutting costs for you in the long run. Sustainability: As well as reduced bills, the insulation used in our prefab homes means reduced environmental impact - lowering your carbon footprint and ensuring that fewer chemicals are released into the environment. Below, you can find out more about the energy-saving innovations we implement throughout each timber frame home we design and build. The wall unify the entire experience of WeberHaus in energy-efficient house building. Excellent thermal insulation properties by a highly developed wall construction. The roof is even specifically designed to maximise protection for your home. Overlapping eaves protect your home from the elements. The roofs are constructed from the most traditional, yet modern of building materials - wood. Extremely strong and durable, wood provides excellent thermal insulation offering warmth and security. The WeberHaus principle of energy efficient design naturally includes the thicker, well insulated doors and windows we use. Your basement will be designed exactly as per your specifications and constructed accurately to the millimeter to the dimensions of your plans. 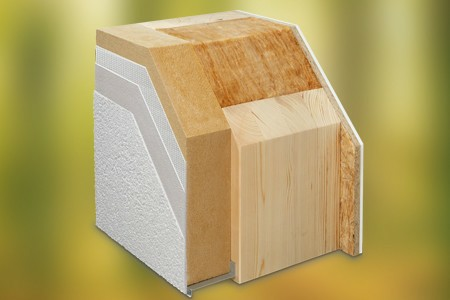 The WeberHaus foundation slab provides excellent heat insulation for the base of your house.